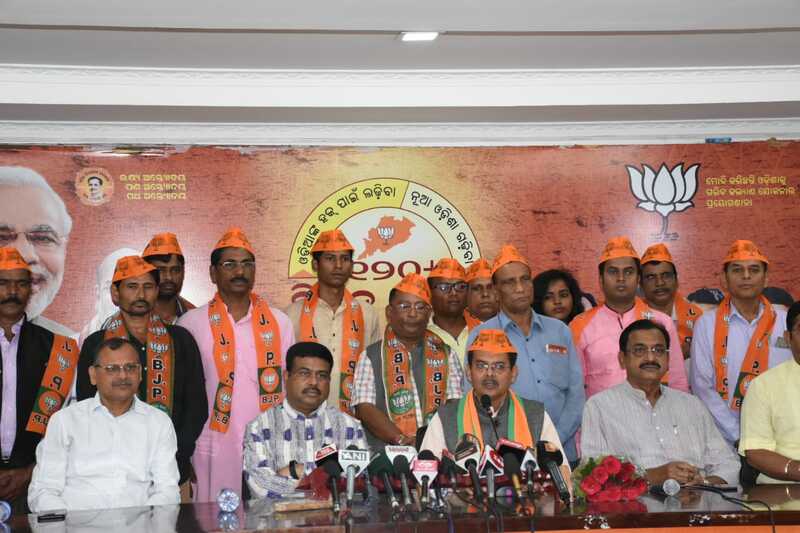 Bhubaneswar: 3 times MP and president of Utkal Bharat Party Kharavela Swain has returned to BJP after a span of a decade, as the saffron party on Monday declared him as its candidate from Kandhamal Lok Sabha Constituency. BJP has also named former DGP of Odisha Prakash Mishra as its Lok Sabha Candidate for Cuttack. With the return of Swain, the Utkal Bharat party is likely to merge with BJP. Swain joined the party in presence of Union minister Dharmendra Pradhan and other senior leaders at the party office here. Swain was elected to the Lok Sabha thrice as a BJP member. He was elected to 12th Lok Sabha in 1998, re-elected to 13th Lok Sabha in 1999 and for the third time to the lower house in 2004 from Balasore. Prakash Mishra had joined the BJP on Sunday.